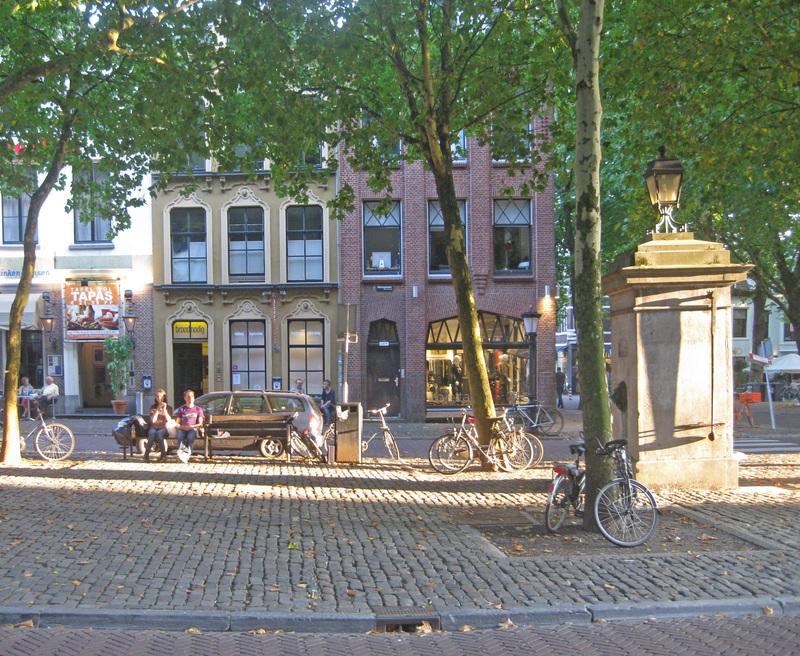 Mariaplaats, Utrecht, the Netherlands—After (photo taken in 2014). Any designer works out the details. Architects and urban designers use design to solve problems. That’s very different than applying rules. Where the devil lies is in the criteria for judging the details. The criteria for the DOT’s Level of Service get in the way of pedestrian safety, walkability, and beautiful streets. That’s why NACTO and the CNU / ITE transportation committee are in the process of revising the criteria—to open possibilities for more variety in the details. DOT’s have been telling us for years that wider streets are safer. But we now have statistics that show that means “safer for the car to go fast—in the context of 33,000 deaths a year.”Wider is more dangerous for pedestrians, and all we have to do to stop killing ourselves is to slow cars down to 20 mph when there are pedestrians around. In Street Design we used a traffic engineer’s Walkability Index and renamed it the Walkable Index Number. So we had WIN versus LOS for walkability and placemaking. If the Connecticut DOT is unable to be flexible enough to allow the making of great places where both cars and pedestrians will be safe (and I don’t know that they’re not), that’s when the town should consider taking over a few blocks of Main Street. In the meantime, of course, NACTO and CNU / ITE are in the process of revising DOT standards, and eleven American cities have now adopted Vision Zero. [X] could be the first town to adopt it. Vision Zero simultaneously saves lives and gives the legal justification for not always following DOT standards. Whether or not the town wants to do this is up to the town. But support is obviously very strong. 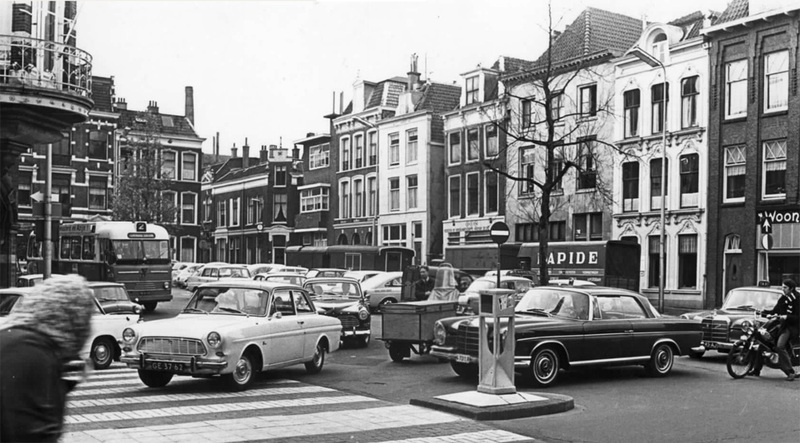 Mariaplaats, Utrecht, the Netherlands—Before (circa 1965). This entry was posted in Architecture, Beauty, Bicycle, Craft, Culture, Current, Good Kind, Materials, Pedestrian, Slow Streets, Street Design, Urbanism, Walkability. Bookmark the permalink.